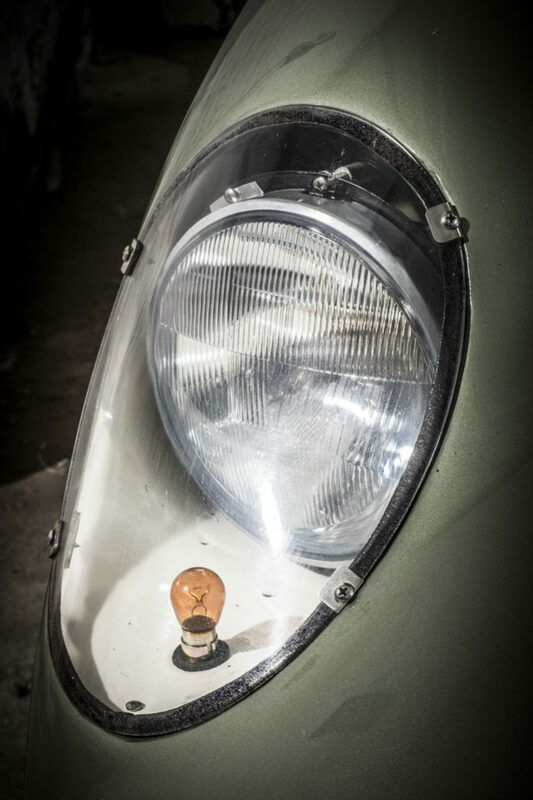 In 2012 Didier van der Linden, a Belgian lover of British cars, stumbled across a mysterious wreck in France. 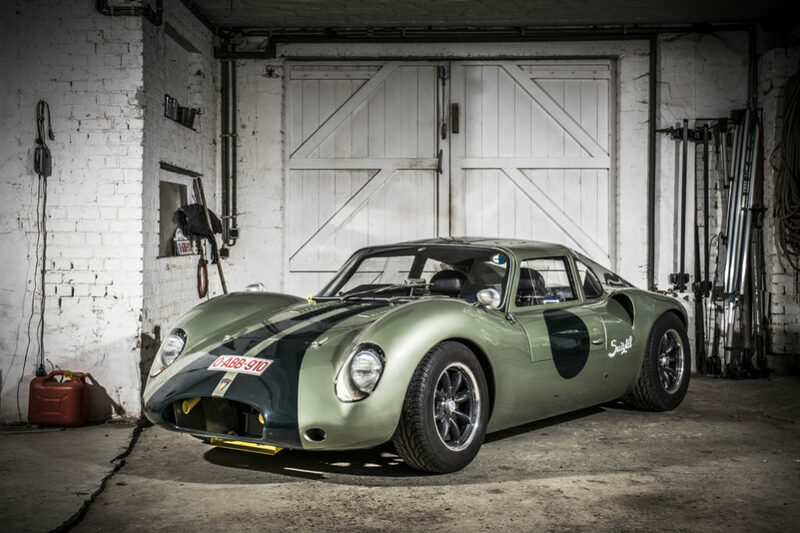 It turned out to be the track day car British club racer Ian Stronach built for himself almost fifty years ago. 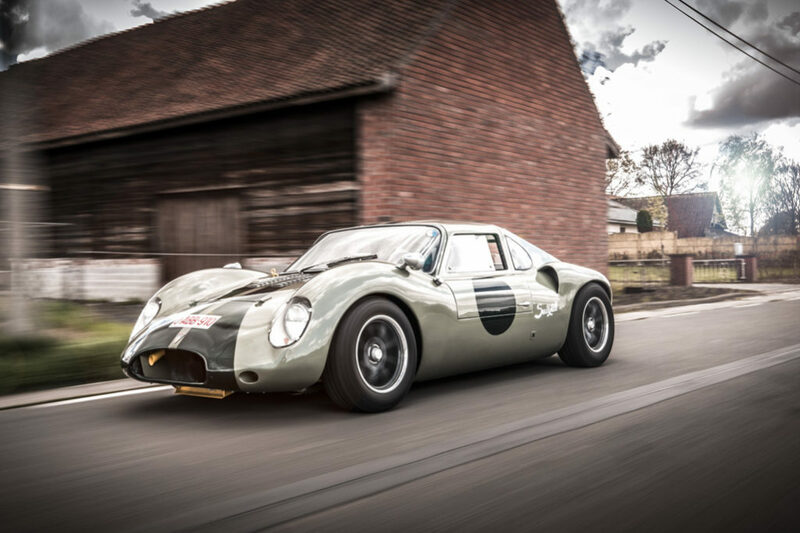 After a painstaking restoration, this unique little car is on the road again – and on the track. Meet the Vixen GT. 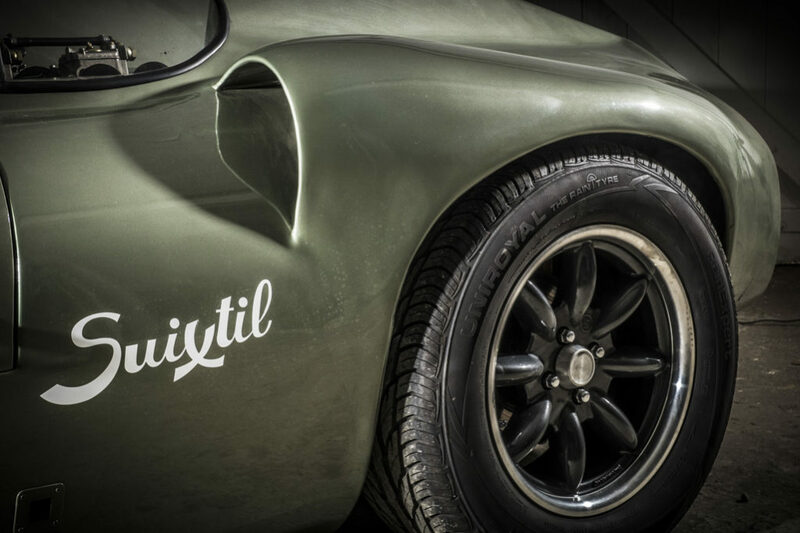 In March 2015 this olive green sportscar was presented to the public at the Antwerp Classic Salon, after a four-year restoration project. 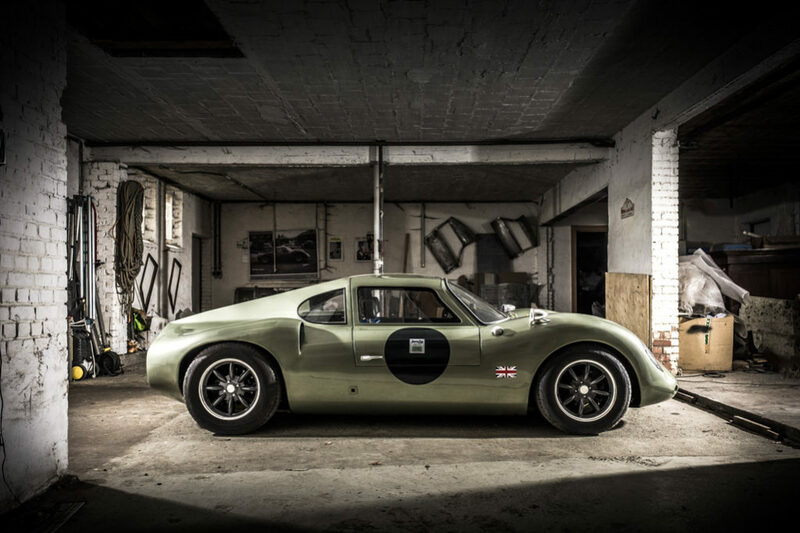 Pundits searched their archives in vain for information on the small, mid-engined coupé. Just as the general public they couldn’t work out what car this was, where it came from, and – no less important – if it’s as powerful as it looks. 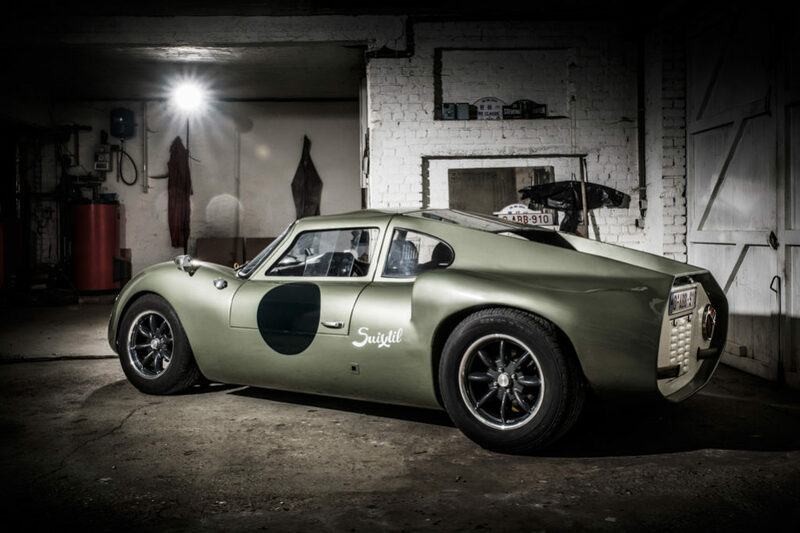 Didier van der Linden has the answers: this is a Vixen GT, built in the early sixties, in Britain. And yes, it’s quiote powerful. 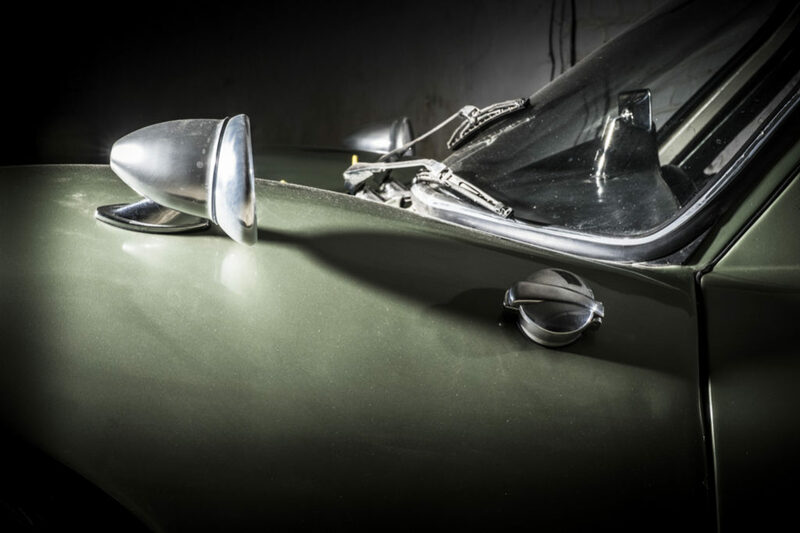 Van der Linden did not only restore this car into much more than its former glory, he also unravelled its fascinating history. That history begins with Ian Stronach, a former racing driver and certified petrolhead from Manchester. Stronach was a well-known name in the British club-racing world during the sixties and seventies, but elsewhere he was just one of the many unsung heroes who spent their entire careers motor racing without ever reaching the pinnacle of motor sports. Stronach drove in Formula 2, Formula 4, Formula Libre and Formula 5000, popular classes in the overcrowded British racing world of those decades, in which many much more famous racing drivers of the age took part. 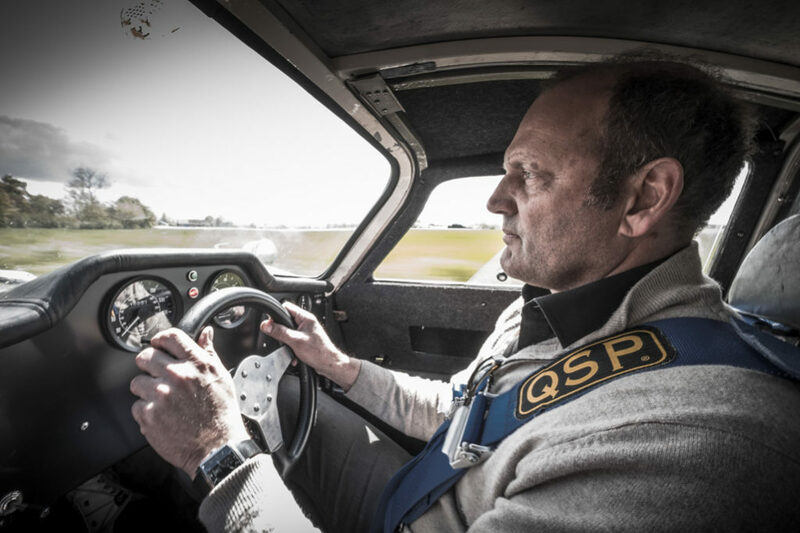 He drove in single seaters from Eagle or Kincraft – and built his own cars as well. He even did win a race or two, but apart from his racing prowess, he was better known for being a gifted engineer. 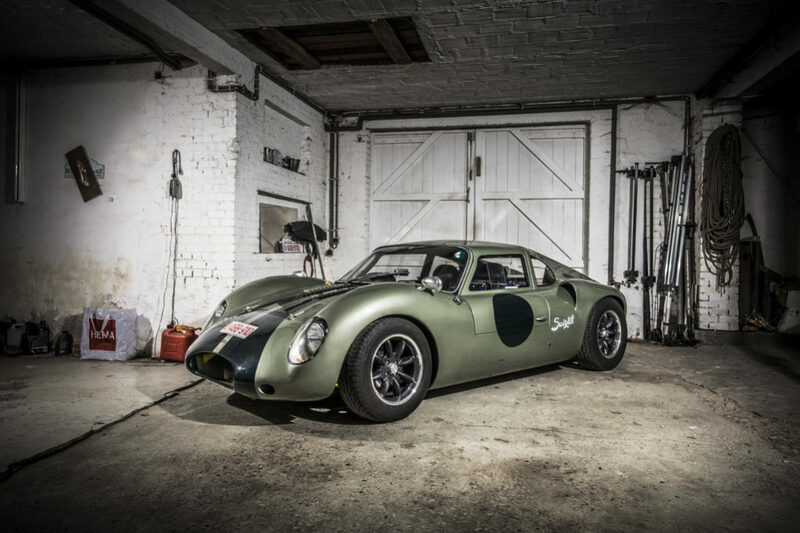 Somewhere in the early sixties Stonach decided to build his own track day car. 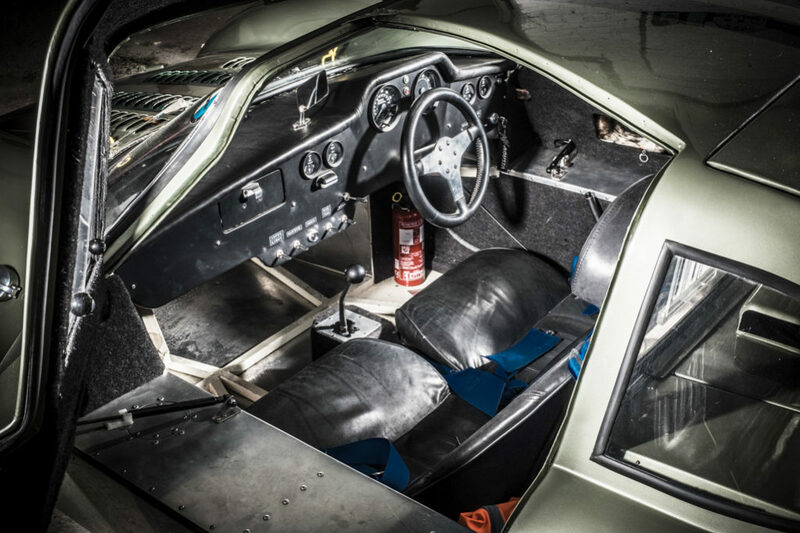 He wanted it to be light, fast and mid-engined. 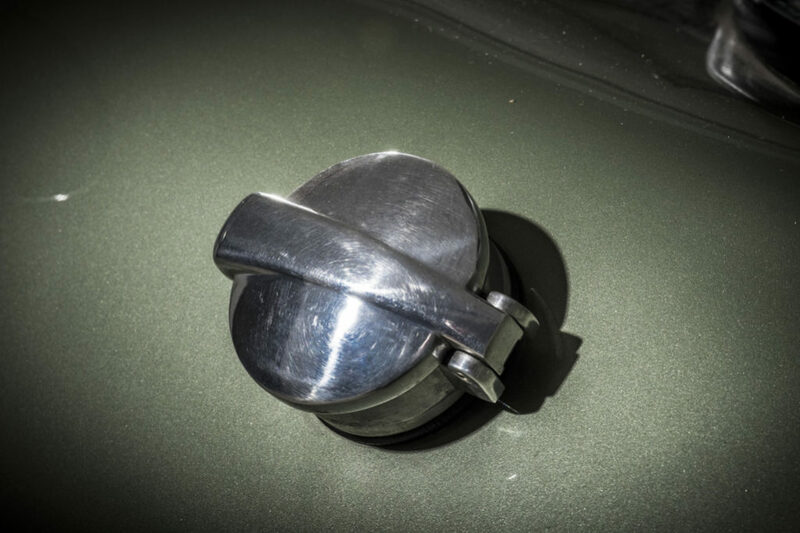 And he wanted a coupé – which was quite unusual in a time when most cars with this configuration were barchettas. 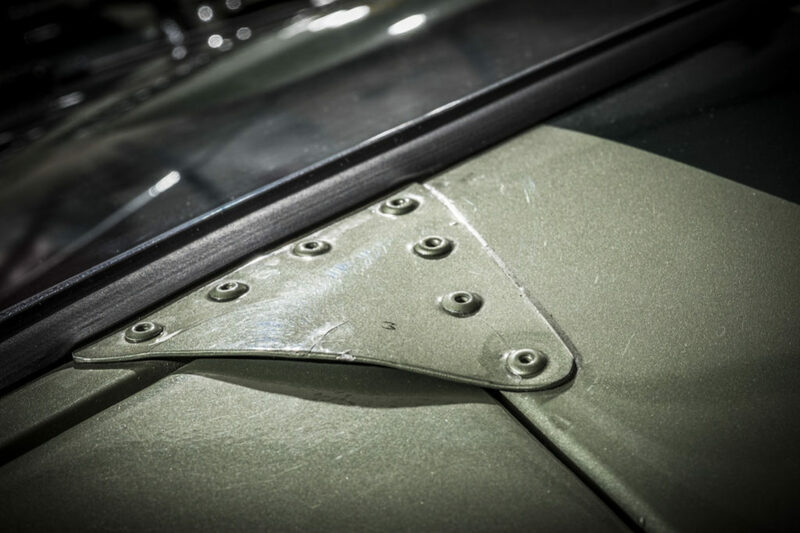 Stronach started his project around 1962 by building a steel tubular chassis, adding a modified nose section from a Cooper-Jaguar MkII, directly sourced with John Cooper. It took him two years to finish his project. No wonder it took him so long. Stronach had a racing career to pursue. Moreover, his car was completely hand-built. 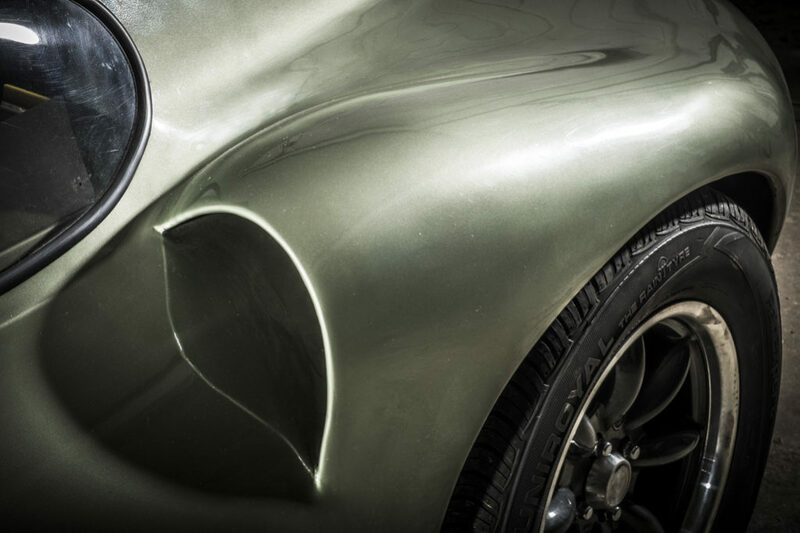 Not only did he design and weld the spaceframe himself, but he also designed and created the bodywork from scratch. 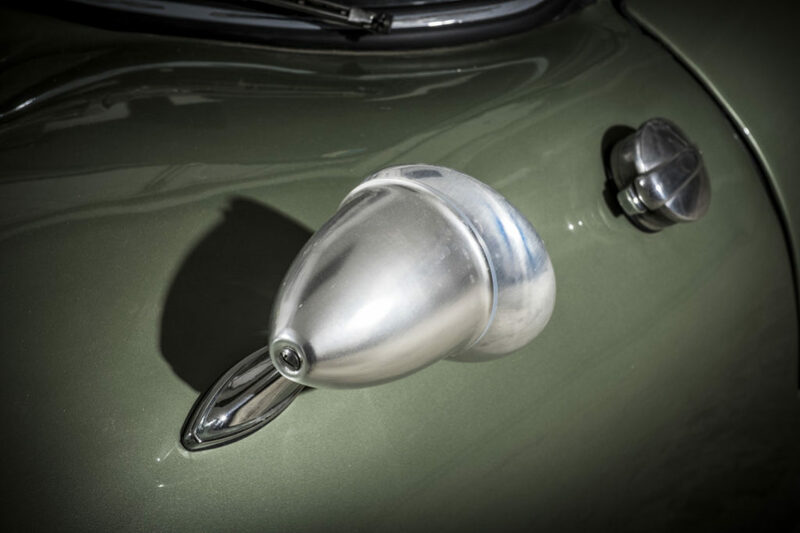 “He even designed the car with an integrated rear spoiler – the first time any car had such a feature”, Didier says. 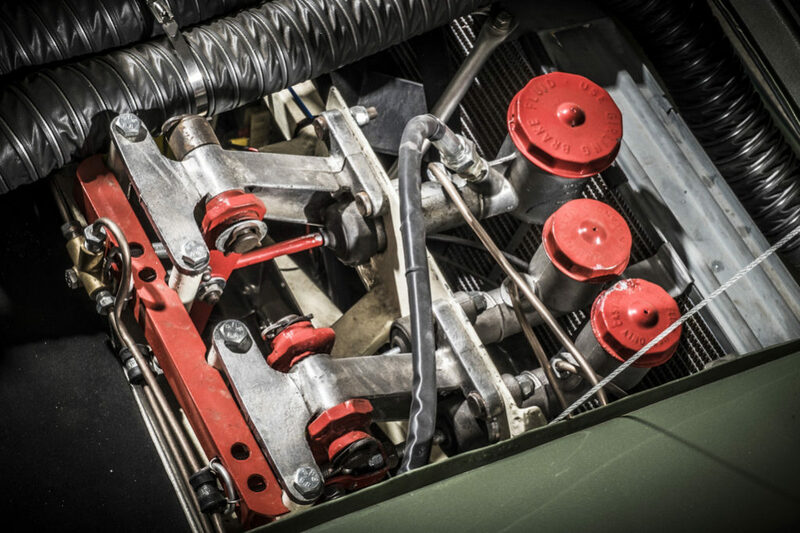 Stronach did use some existing parts: the suspension came from Triumph and to power his creation he had his sights set on a 3.5 litre V8 engine from GM. 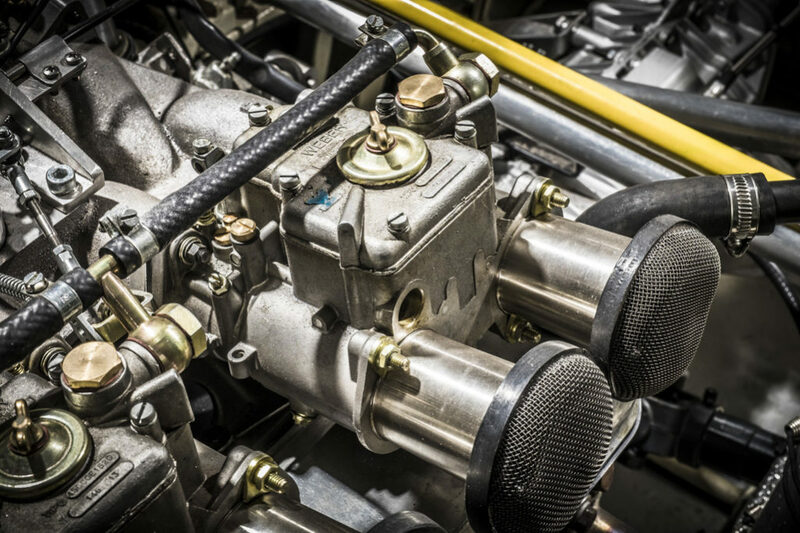 He couldn’t find a suitable example, though, and had to settle for one of his racing engines – a Ford Kent 1.6 litre four cylinder with compressor, good for 160 PS. Christened Vixen GT, finished in a bright red racing colour, the car with chassis number V1X1 was finally finished in 1964. Tests at Oulton Park proved the Vixen could easily get to a top speed of around 120 mph. 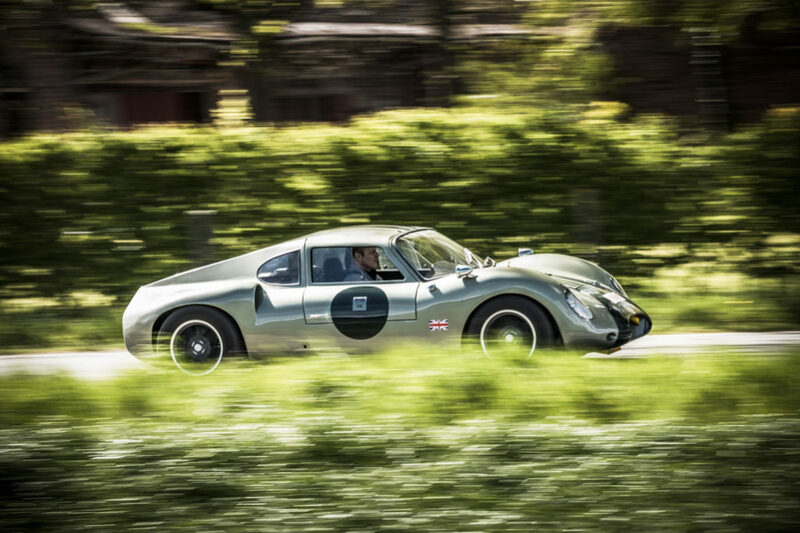 It took Didier a year to retrace the history of the car he had bought. He discovered that Ian Stronach parted with his creation after only a short time. 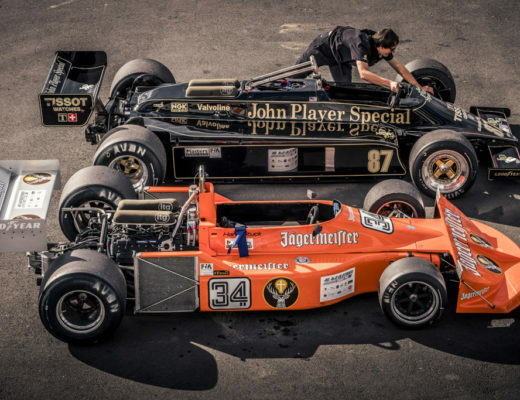 After that the Vixen was owned – and raced – by a succession of drivers. Didier found Vixen-owners whose names will sound familiar to British members of the club racing community, but didn’t ring any bells with him: Bob Baxters, Roger Cole, Roy Hill. “Hill also took the car to Europe”, Didier explains, pointing at a sticker on the windscreen. 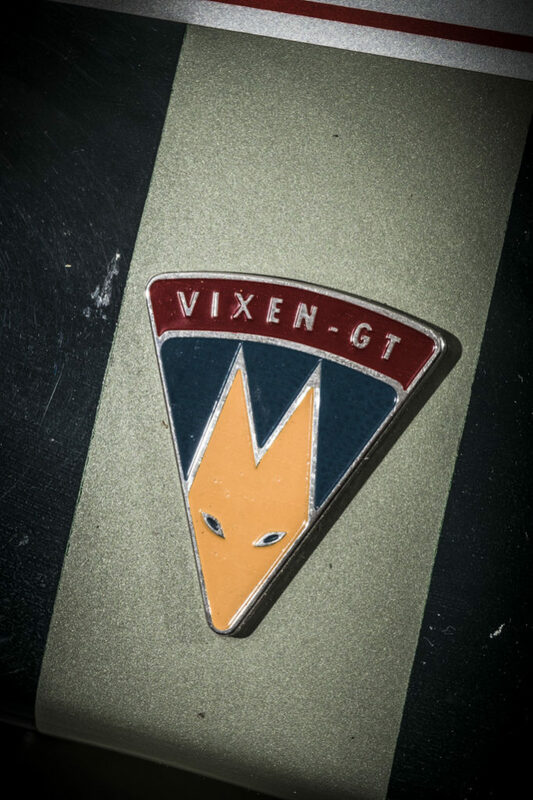 “This is a paddock sticker from Zandvoort, somewehere in the seventies.” After Hill, one Wayne Philips, an American photographer, took possession of the Vixen. He apparently sold the car to British racing car manufacturer CTG in Dorset, which subsequently sold it to British driver Graham Capel. The last name in the long list of Vixen-owners Didier could find was that of French racing driver Lionel Laglave, who took the car with him to France in 1980. In the end, it’s the result that counts and in case of the Vixen, Didier has done an outstanding job. Compare the 2016-Vixen with pictures of the original car and you’ll find that almost every detail is right – and if they aren’t, there’s a good reason for it. All windows, except the windscreen (on which the Zandvoort sticker is protected by a special piece of coating), are of Plexiglas. The roof panel is removable, as is the vertical grille in the rear, flanked by two massive exhausts. 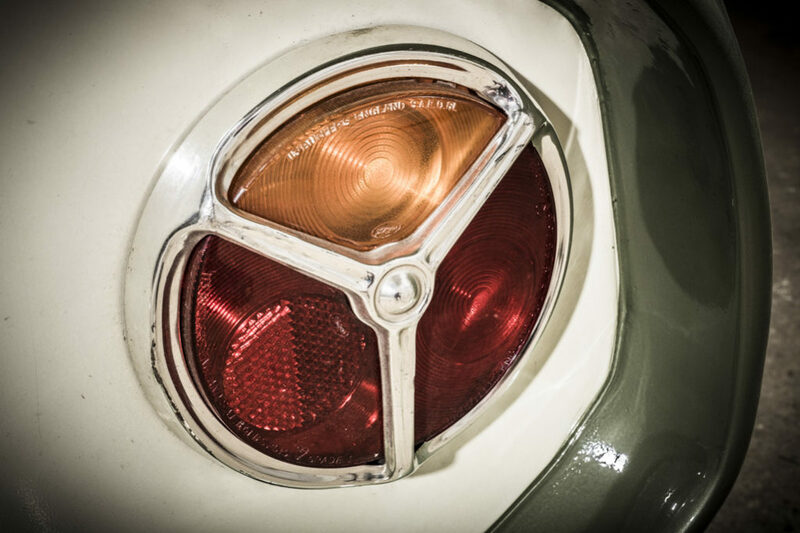 The rear lights are from a Ford Cortina MkI. Only the body colour isn’t anywhere near original. 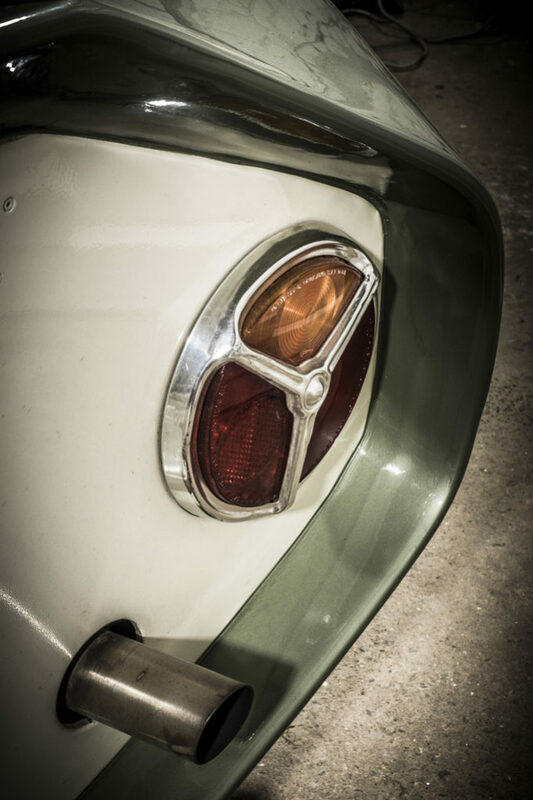 “It’s Oliva Verde, a colour used by Alfa Romeo in the fifties”, Didier explains. “I love Alfa Romeo almost as much as I do British cars, so I definitely wanted that colour for my Vixen. But the striping is inspired by the colour scheme used by Roy Hill.” The nose is graced by a colourful, meticulously recreated Vixen-logo, with its stylized foxes’ head. 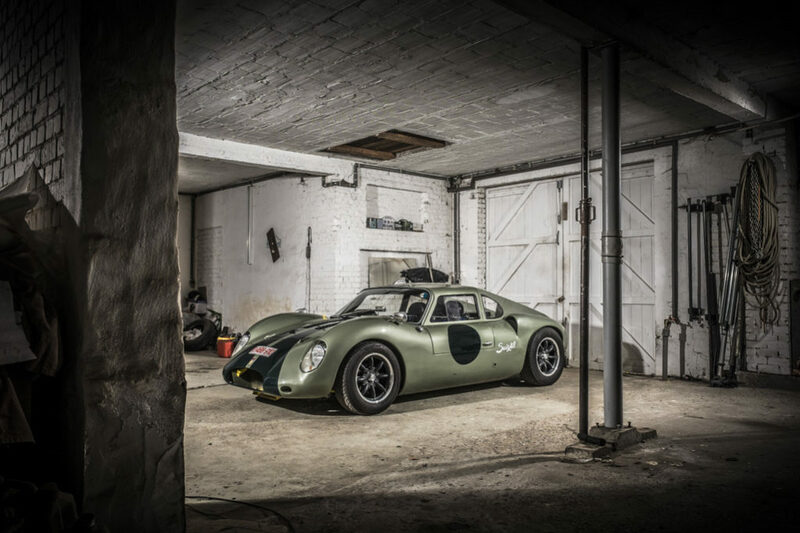 Thanks to many, many hours of painstakingly re-creating this unique little car, Didier has built the sportscar that Ian Stronach wasn’t able to build. It is visually identical to the original, but technologically it’s much better, safer and faster than it ever was. Especially as it is propelled by the engine it should have had all along: a 3.5 litre Buick V8. 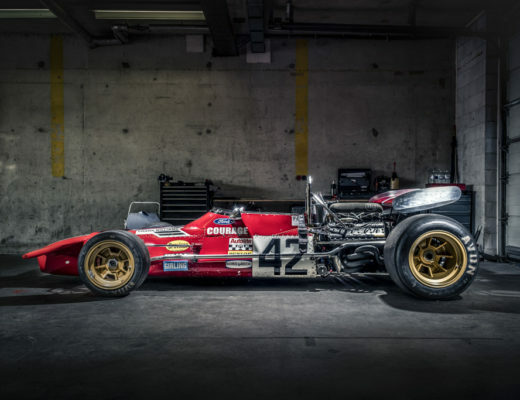 Weighing only 144 kilos, it’s significantly lighter than the cast-iron Ford Kent-engine Stronach fitted in his original car. 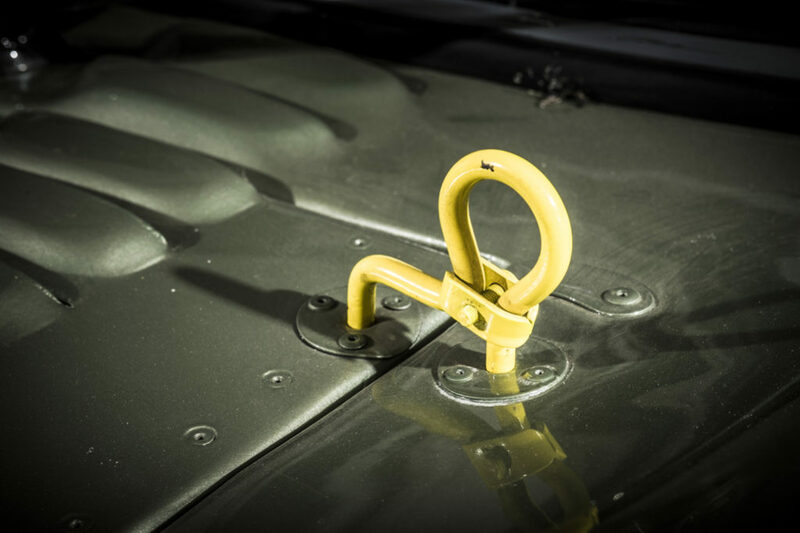 The suspension has been beefed up, with stronger supporting arms at the rear and reinforced front supports from a Triumph TR6. The Bilstein shock absorbers have been hand built for this car. 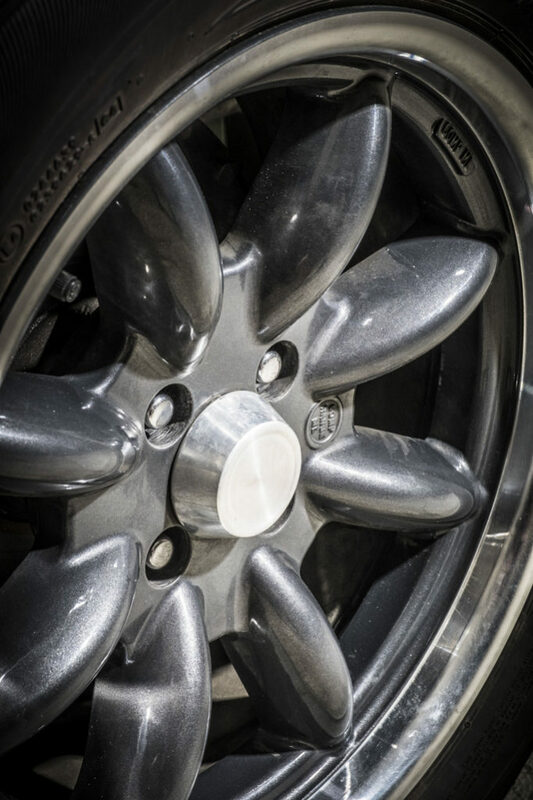 The Vixen is fitted with Austin Healy disc brakes all-round, instead of the original inboard braking drums. 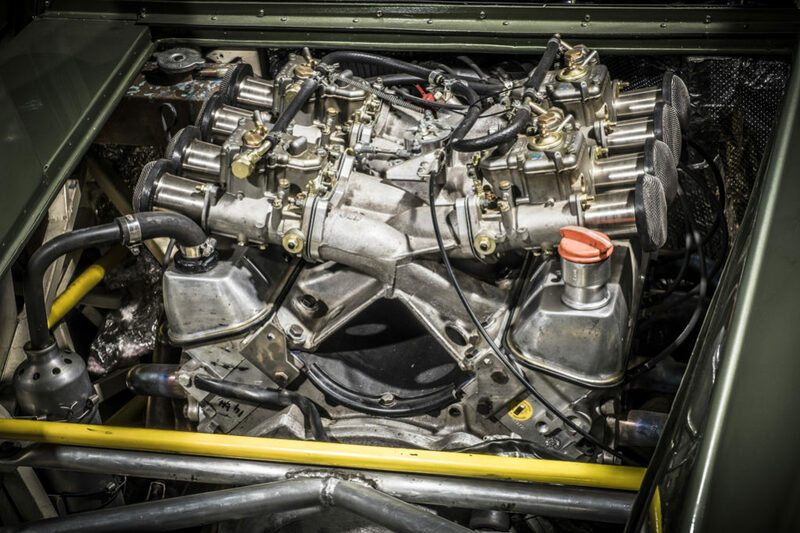 The original Volkswagen gearbox has been replaced with a much stronger five speed ‘box from a Renault 21 Turbo. And in the cabin the potentially knee-crushing cross beam under the dashboard has been replaced with a safer, higher placed reinforcement. 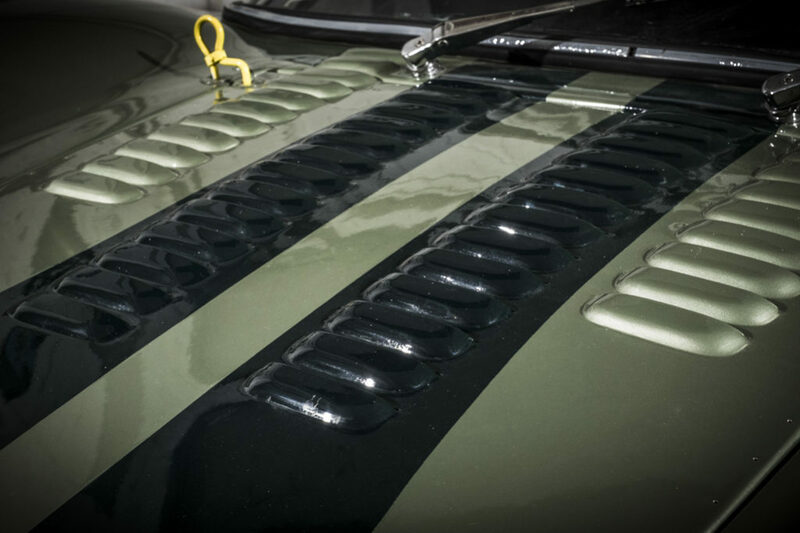 Climbing aboard is quite a challenge, thanks to the big, wide sills, both doubling as fuel tanks. 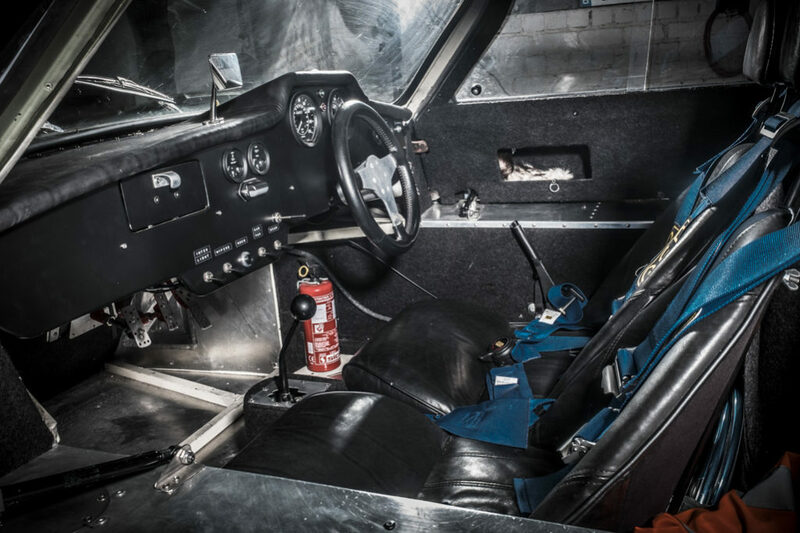 Once seated in the tight seats with their racing harnesses, the cabin feels remarkably spacious – occupants of 1.80 m or less can easily fit inside the Vixen with headroom to spare. It feels like a cosy office. 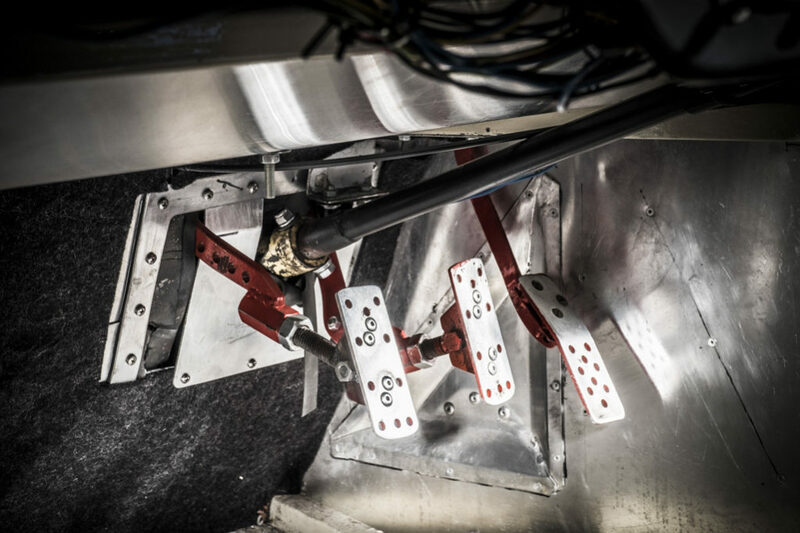 The pedals are adjustable to anyone’s taste and the perfectly positioned gear lever feels like a logical extension of your arm. The V8, sitting only a few centimetres behind you, at idle runs at around 1200 rpm, sounding as it should: ominously burbling away until pushing the throttle results in a sharp whine. The acceleration is spectacular. 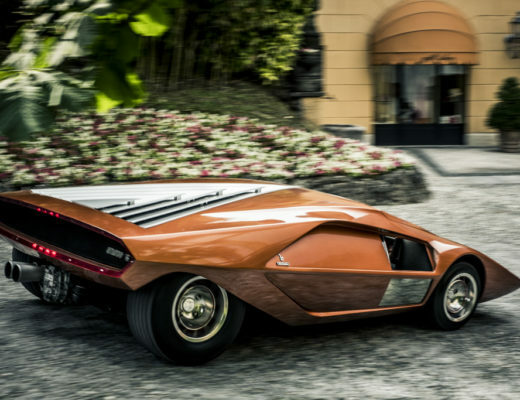 Thanks to its low weight (a mere 880 kilos) and its 280 PS strong V8, the Vixen sprints away like a greyhound. Thanks to the low driving position and the overwhelming engine sound, the sensation of speed is phenomenal. The steering is razor sharp – it feels kart-like, just like the whole car. With its near perfect weight distribution (48/52 percent), incredibly stiff suspension, solid stance and wide tyres the Vixen is perfectly unfazed by any corner taken at even death-defying speeds. 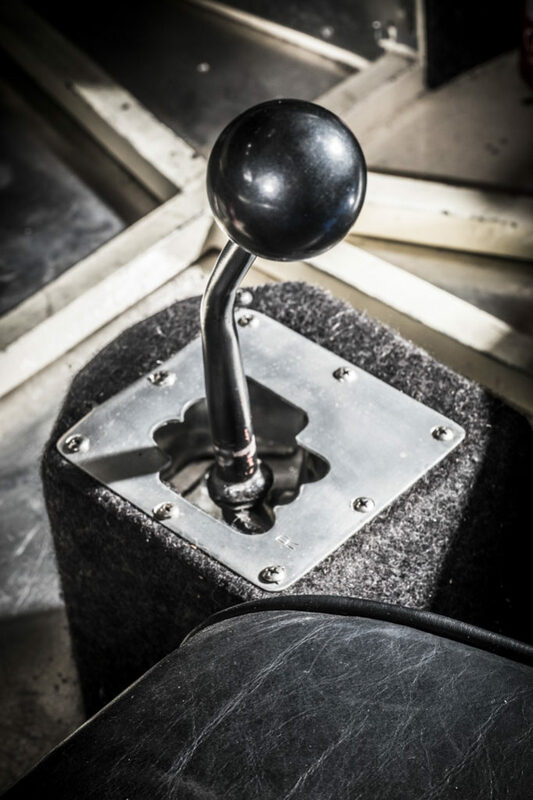 It’s neutral in corners – oversteer isn’t present until you really, consciously push the car over its limit. 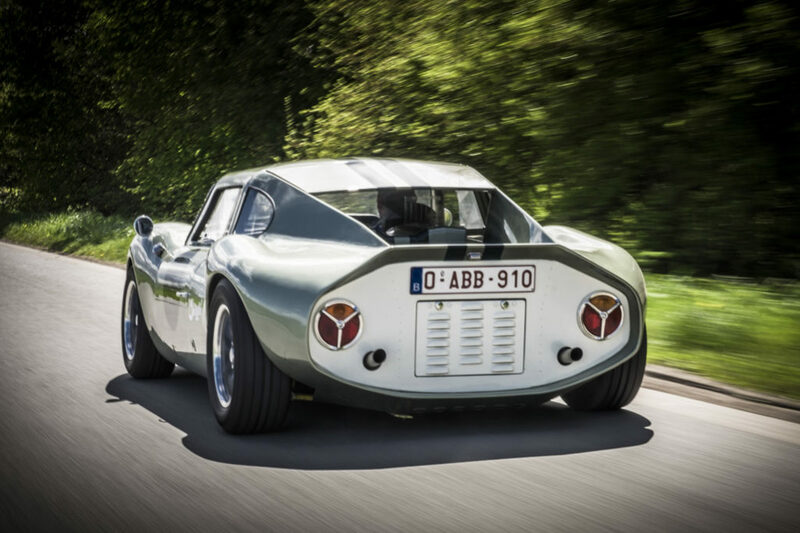 The Vixen GT feels much more like a feral Lotus Elise than a track day car from the sixties – the difference with the Lotus being that, thanks to that smooth V8, you can also leisurely cruise with it in fifth gear. Even then just flooring the throttle suffices to effortlessly kick the Vixen into a frenzy of ear deafening acceleration until you fear the needle on the rev counter will break off. 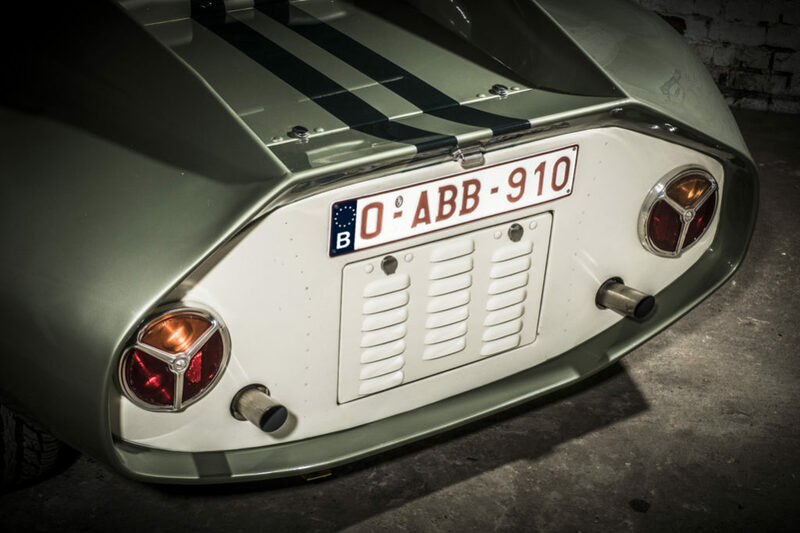 Didier van der Lindens Vixen GT is the only example in the world. But not for long. Ian Stronach originally planned a production run of three cars. He even built the tubular chassis’ for the other two cars, but never came around to actually building them. 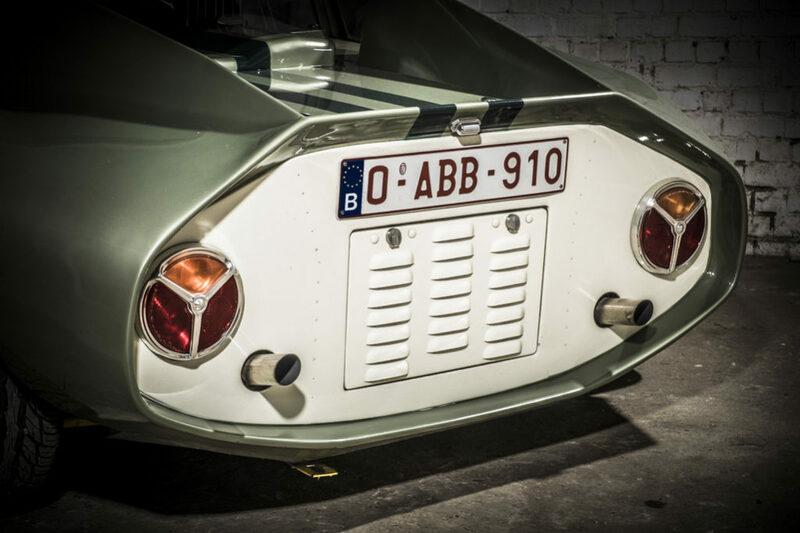 The original frames are now owned by Didier, who plans to build both cars, becoming the biggest – and only – Vixen-collector in the world.